Country Health Connect know how important staying in your own home is and we are able to structure support services around you or your loved ones to help make this possible. We know how daunting and confusing it can be to find out what is available in your community and what steps you might need to take to get help. We offer basic level support through our Home Support Program, and more complex care in the home through our Home Care Package Program. Our services are provided by a dedicated and caring team of nurses, support workers, coordinators and allied health professionals who are specifically trained to work with you to find solutions that work for you. We have many years’ experience of understanding your needs and designing a solution specific to your needs. Whether it’s a physical injury or a fall, we can connect you with the best physiotherapy services in your area and asses your home for helpful modifications and equipment that helps you complete tasks that you might normally find difficult. Country Health Connect can also help you regain some physical fitness by participating in one of our exercise classes. Whatever the problem, Country Health Connect can provide the solution. 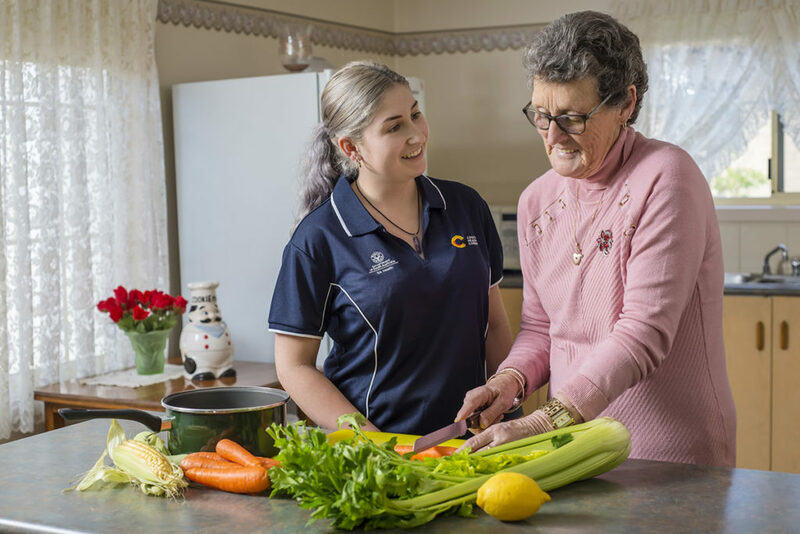 Our dedicated teams across Country South Australia offer four levels of Home Care Packages, ranging from basic levels right through to the more complex support services. Our flexible care programs support those who may need more time and help to complete their recovery after a hospital stay, or support those who need some assistance at home to help them remain safe and well. The programs can be provided either in-home or in one of our residential care facilities where you can move in for a short period to regain your confidence and independence. Country Health Connect know how important your home is to your health and wellbeing, offering much needed help to keep it neat and tidy to keep your spirits high. We can offer housekeeping and home support services that ensure you remain comfortable and confident in your own home. Caring for someone is a big responsibility and it is important to take some time off to focus on your own health and wellbeing. You don’t have to struggle alone, there are options available in many locations. Country Health Connect can help you remain socially active, attend medical and other appointments or simply provide transport to your local shops. Download the Help at Home brochure, featuring information relating to personal, clinical and respite care.